For many new parents, the absolute safety of their newborn is a top concern. The home, for example, is full of dangerous objects and elevations that can cause considerable injury. Every sharp corner has the potential to spawn a variety of fears and injuries. When it comes to adopting a baby, enacting safety measures in your home can do much to reduce anxiety while also keeping your new miracle safe. A is 4 Adoption was created to offer birth mother help as well as resources for adoptive parents to ensure the best interests of the child. Our staff strives to simplify the adoption process and match more children with loving parents. Unlike any adoption agency in California, our organization creates custom plans that are beneficial for all parties involved. After all, the child is our top priority, and supporting each person in the process helps everybody to win. Last week, we looked at a few common measures that can be enacted to improve the safety of the home. Today, we’ll continue into the realm known as babyproofing. Window Safety. The windows in your home are a prime source of danger for children of all sizes. Often times, kids are unaware of the dangers of their actions and are much more likely to suffer a fall. There are several methods for childproofing your windows, including locks and guards. With a lock, you can simply secure the window so that it cannot be opened by prying hands. Guards act as a bar tool that allow windows to open yet keep children from slipping through. Window stoppers are also useful because they can control the amount that the window can be opened, preventing a space large enough for a child to slip through. Blinds Safety! One major hazard for many young children comes from the strangulation danger that lurks in the cords that control your blinds. 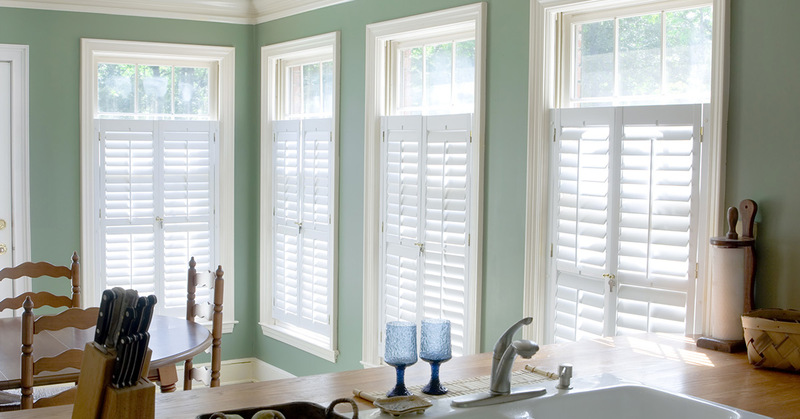 There are numerous tactics to avoid this problem, ranging from purchasing windup tools to replacing the blinds entirely. Some people simply cut the ends of the cords so that there is nothing to get hung up on. We advise that new parents come up with a solid method for keeping cords out of reach of the young ones. Dangerous Item Relocations. One common realization that new parents come to is the fact that their home is filled with hazardous items in all sorts of locations. Small items of any variety make for choking hazards while pens, knives, guns, and so on can create very unsafe conditions. Making sure to tidy up at a child’s level can help to prevent any surprises in the future. Items that are deemed dangerous should be kept well out of reach as well. When people consider adopting a child, they are often focused on the adoption process. We understand the excitement in this, but also know that the same precautions need to be taken as if people were returning from the hospital with their genetic offspring. Unlike an adoption agency, our Californian adoption center works to provide all parties with the resources they need to thrive during this time. If you’re considering private adoption, you can contact us now to learn more about our unique process!